In just one month, this furniture enterprise received 100s of new Google reviews and earned a 4.3 average nationwide rating by engaging with every customer in real-time post-transaction. 32 locations in the U.S.
With 1000s of customers nationwide but only 93 Google reviews, Mathis Brothers could not accurately measure sentiment of their entire customer base. Many customers were simply not leaving feedback, resulting in skewed online ratings that did not reflect overall customer sentiment. 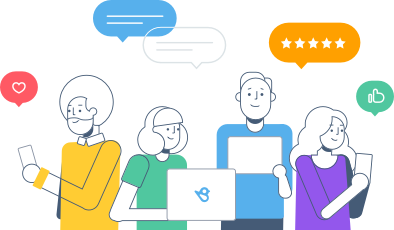 To improve experience and acquire new customers, Mathis Brothers sought a way to connect with their customers at critical touchpoints to convert satisfaction into positive reviews on Google. Mathis Brothers sent real-time review requests to every customer after a transaction. Happy customers were directed to top sites like Google where they could share feedback quickly and easily. With such a convenient avenue for posting reviews, more customers were willing to do so. Unsatisfied customers were directed to management to share complaints through private channels. 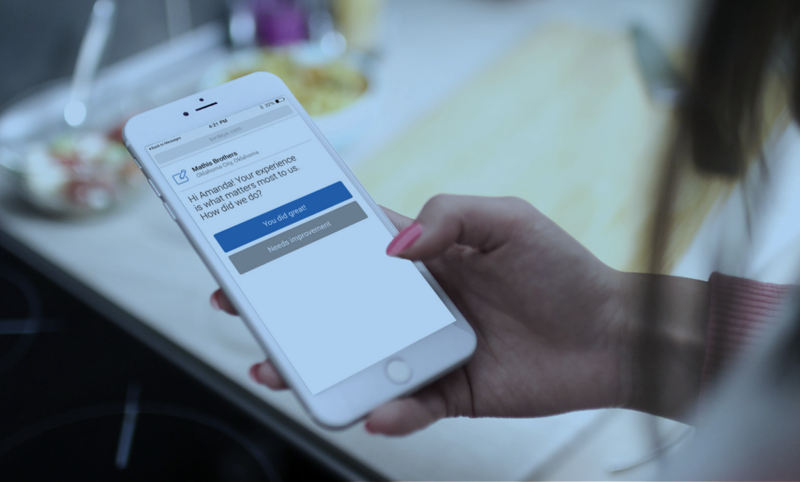 Relevant employees received feedback alerts and addressed customer concerns quickly and thoroughly before problems escalated to public sites. Mathis Brothers tracked response time to ensure consistently prompt issue resolution. In just one month, Mathis Brothers increased their review count on Google by 6x and earned a 4.3 average star rating. 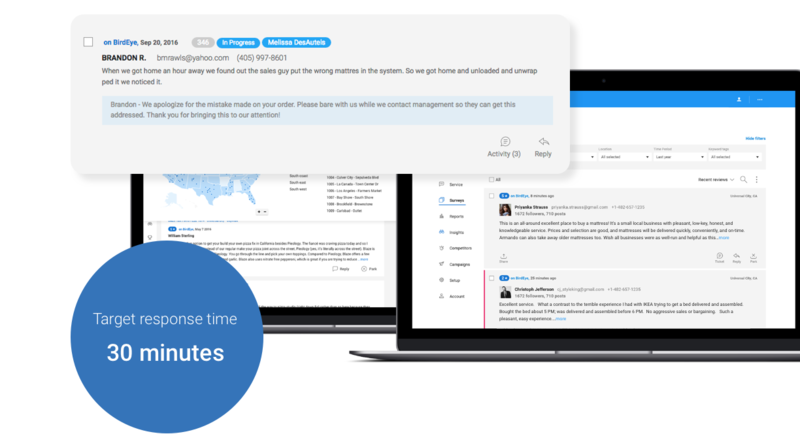 They strive for an average issue response time of 30 minutes, and monitor this via BirdEye’s Social Ticketing tool. To provide the top customer experience in the industry, Mathis Brothers analyzes feedback from both their customers and their competitors’ customers. Using BirdEye’s Competitive Benchmarking tool, they can pinpoint where customer sentiment trends emerge and understand which products and services need improvement at which locations. By staying engaged with customer feedback, Mathis Brothers has been able to consistently exceed customer expectations, and high ratings from hundreds of reviews accurately reflect their dedication to customer experience.